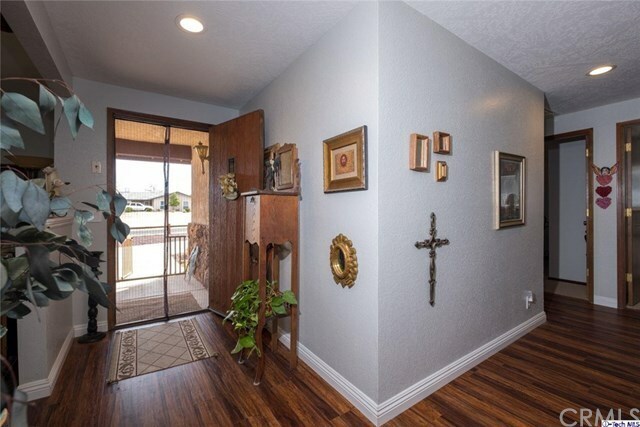 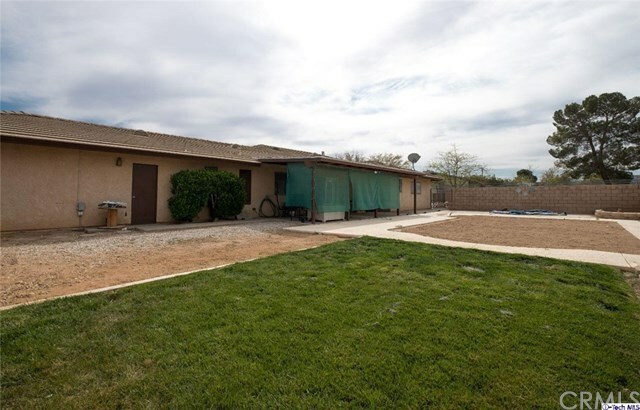 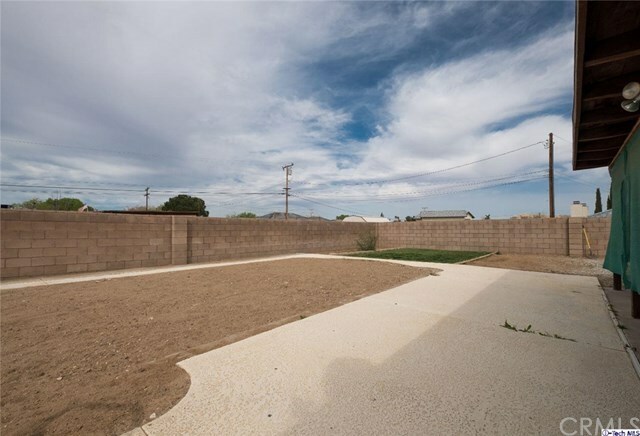 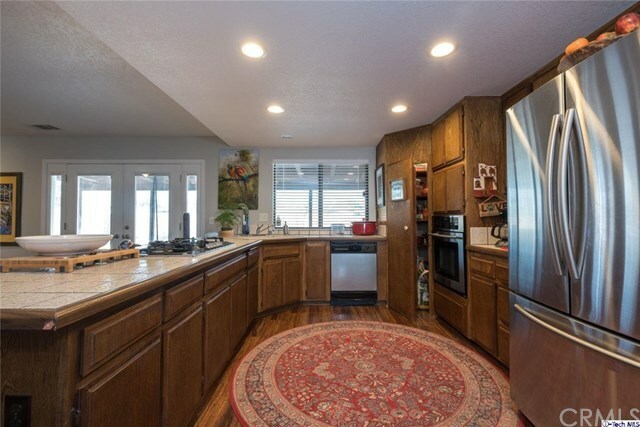 Welcome Home to this Apple Valley single Story Beauty! 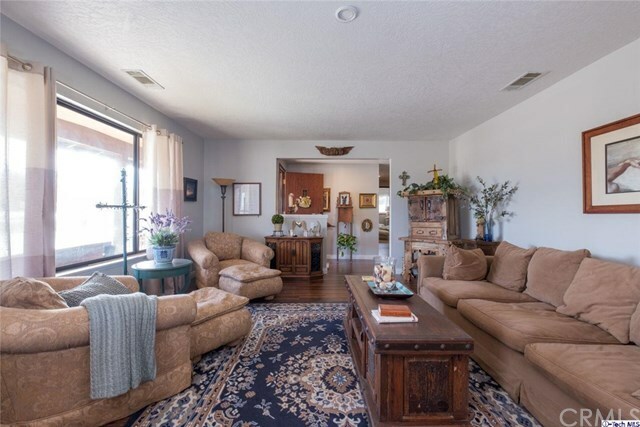 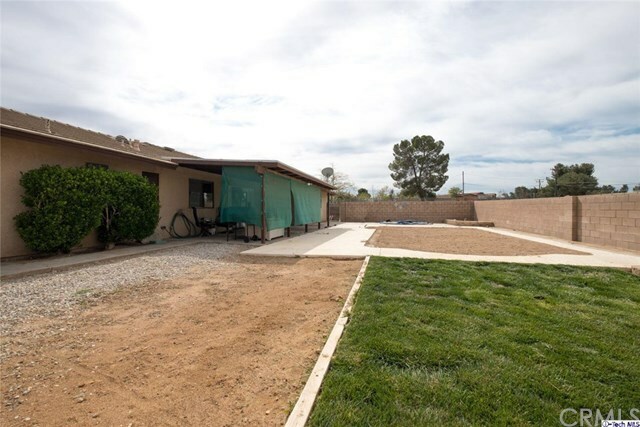 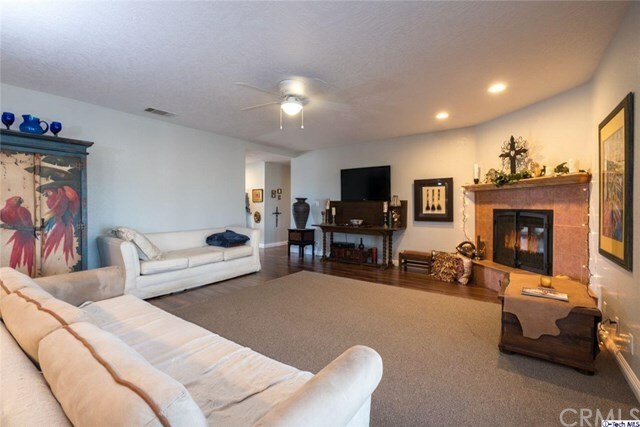 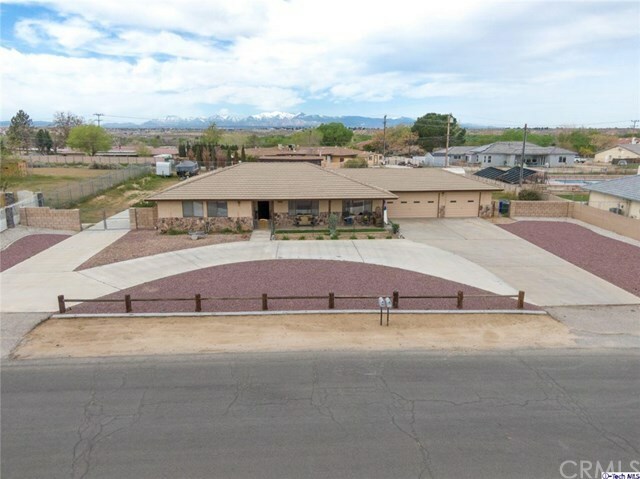 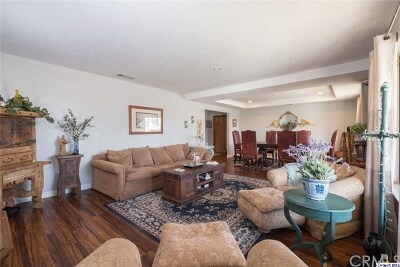 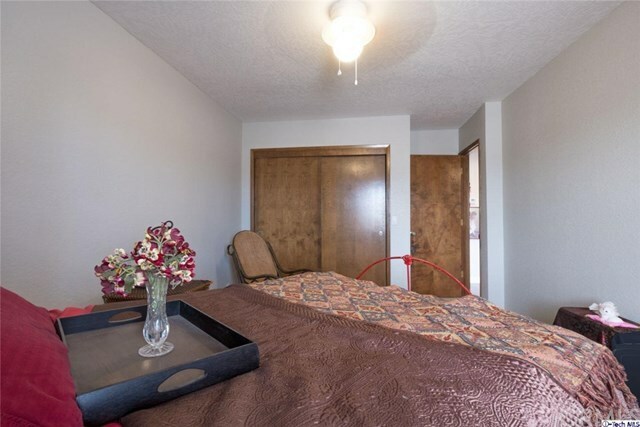 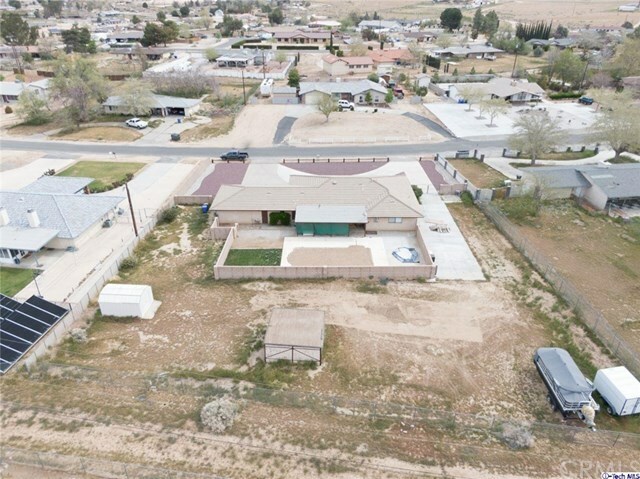 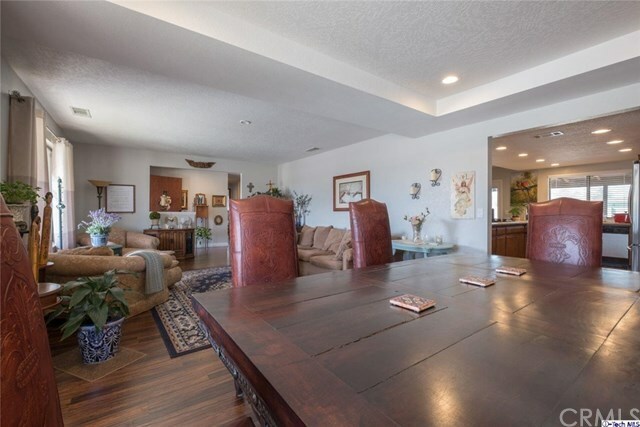 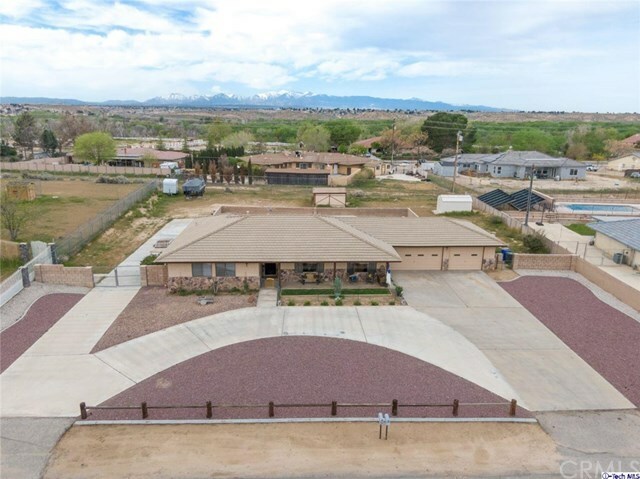 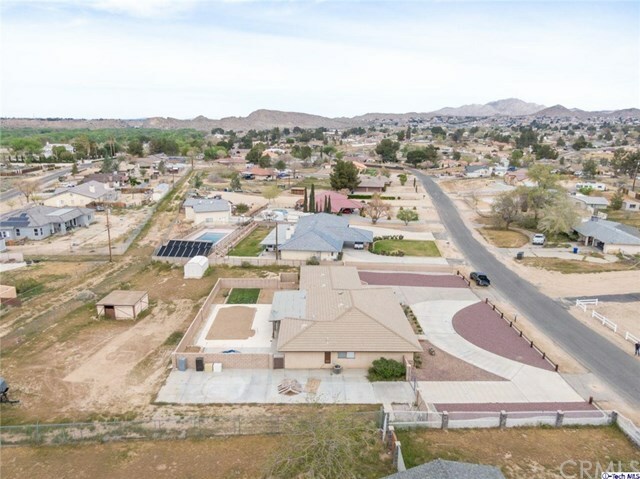 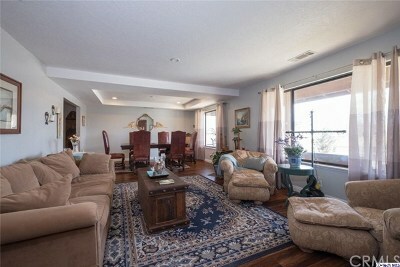 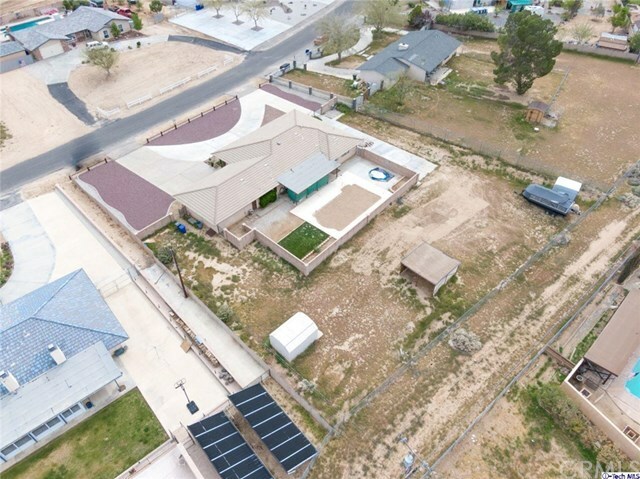 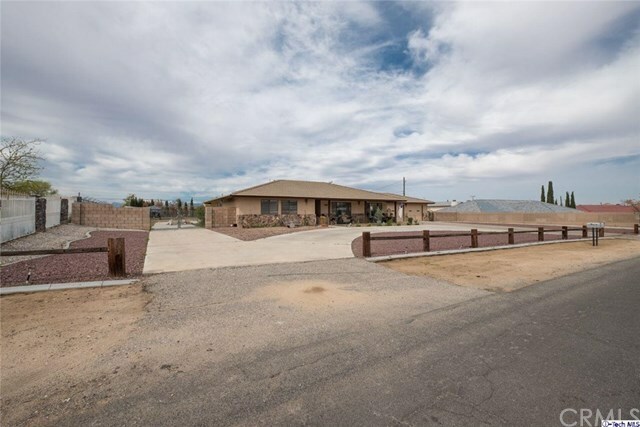 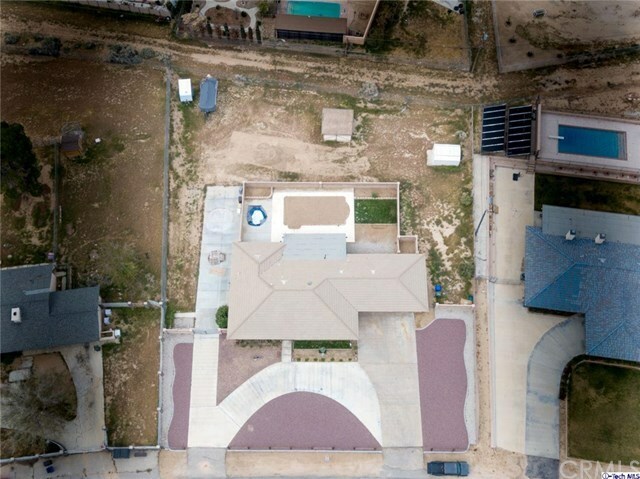 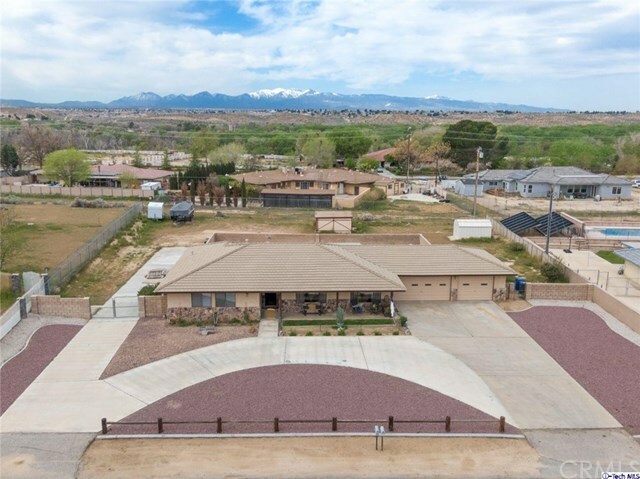 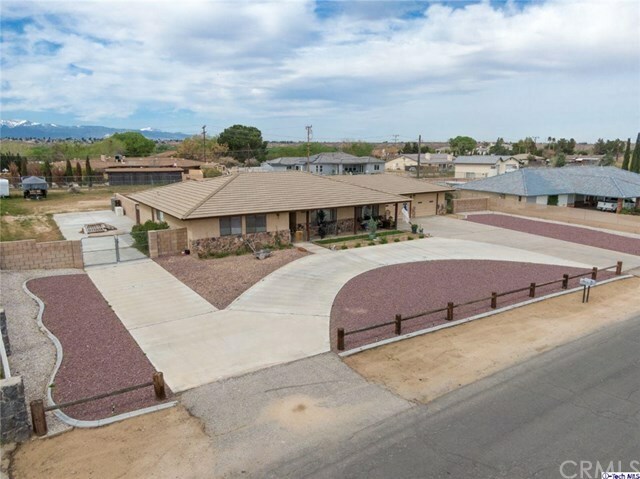 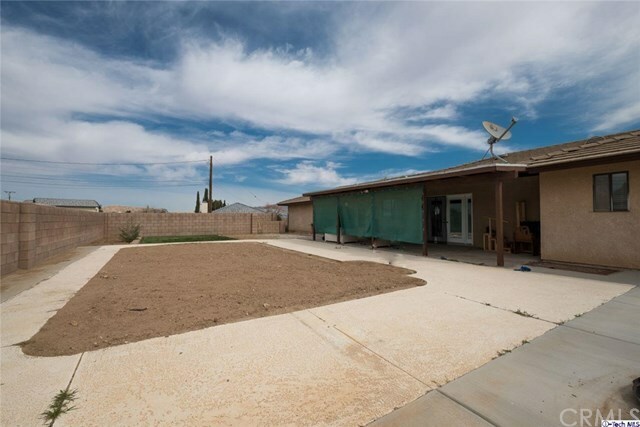 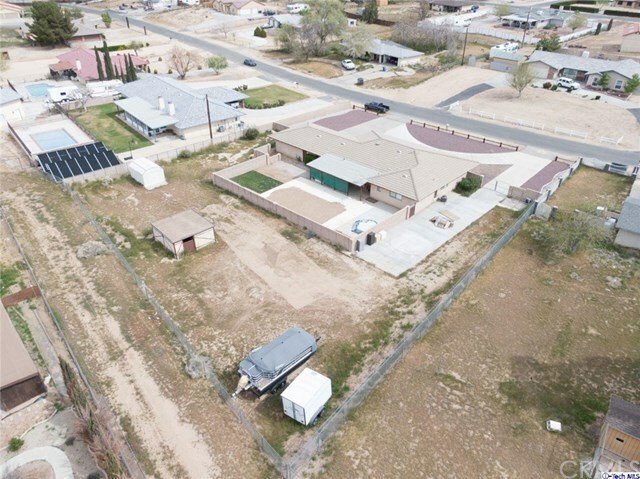 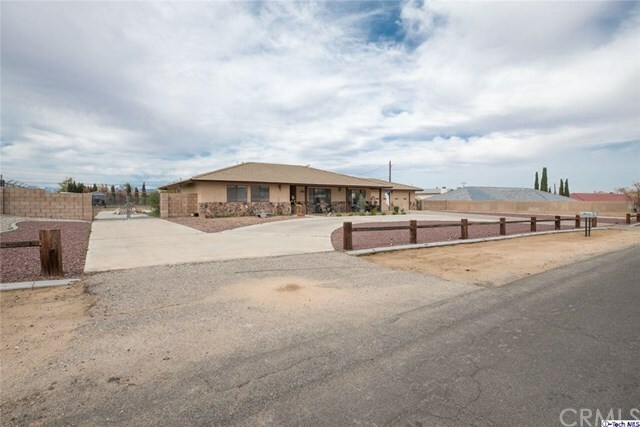 Fabulous circular drive up appeal with RV slab.Upon entering, you will find your formal living room and dining room. 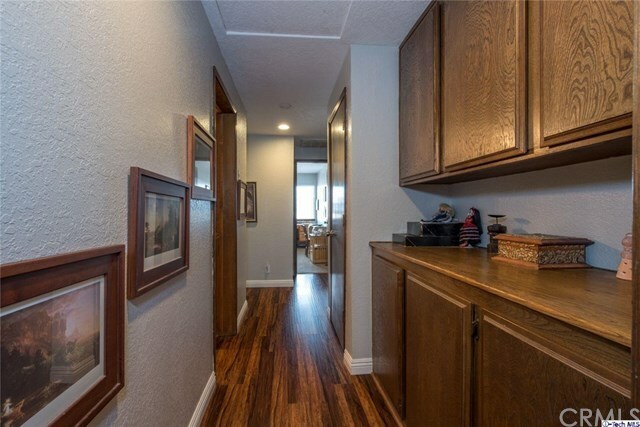 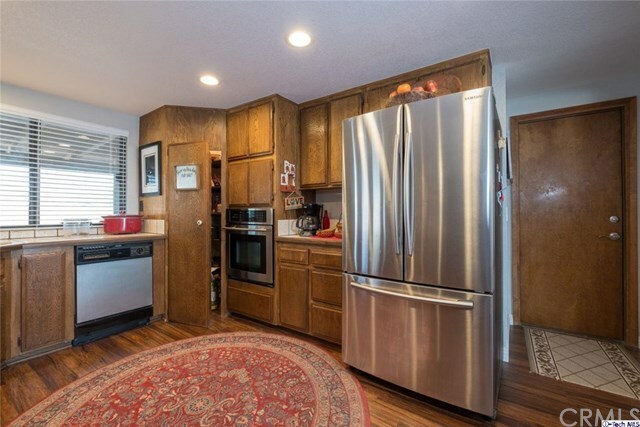 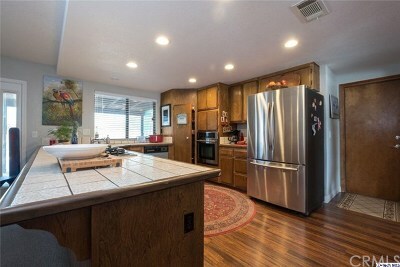 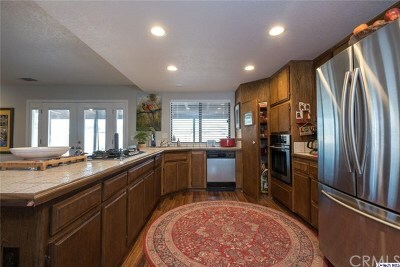 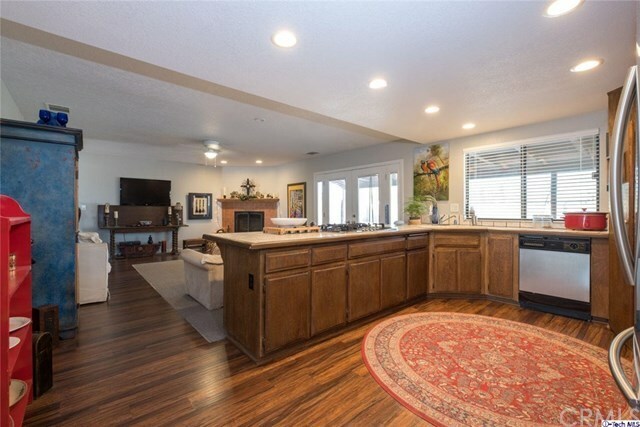 The large kitchen has newer cook top, beautiful cabinets &counters top. 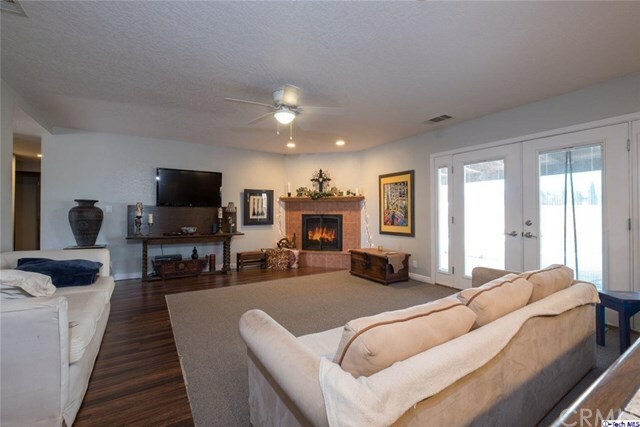 The kitchen also opens up into a large family room ready for entertaining and enjoying special family time by the gas fireplace. 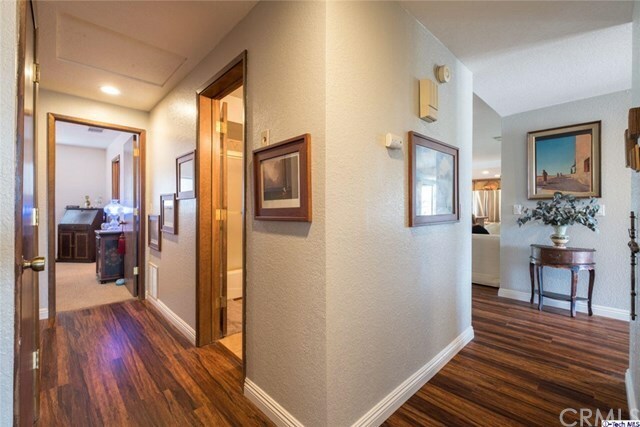 All new recessed lighting with updated wall switches. 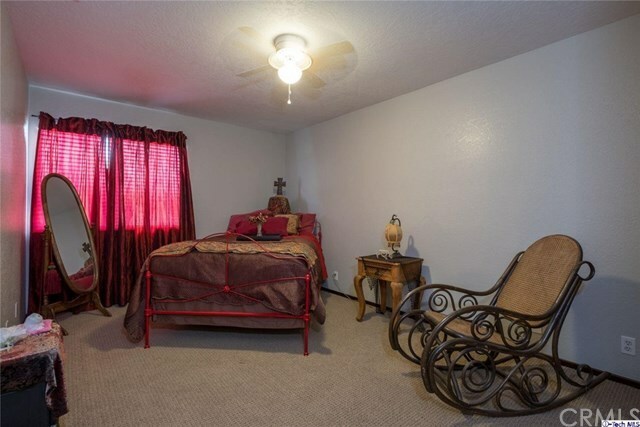 New laminated flooring and new carpet in bedrooms. 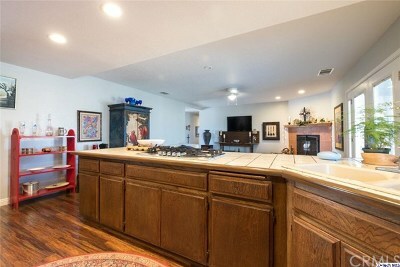 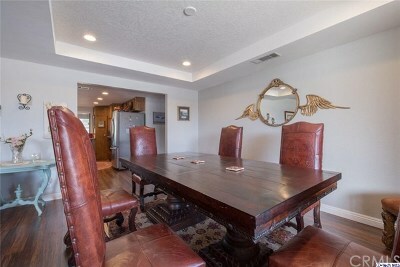 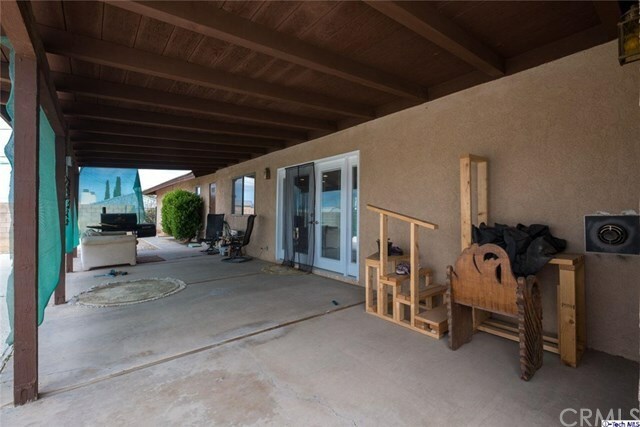 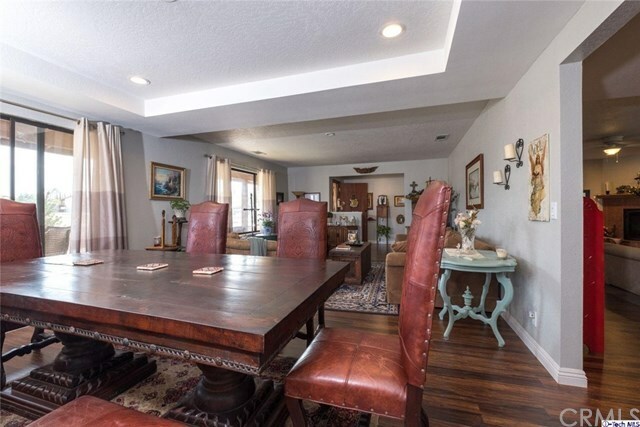 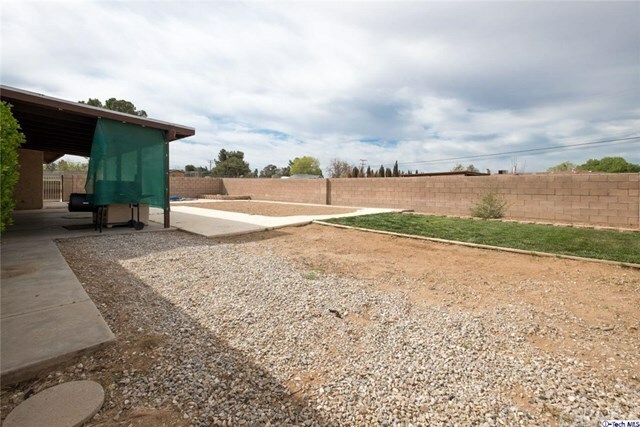 Sliding glass doors from family room to the covered patio,large back yard, perfect for horse lovers,with a hay shack. 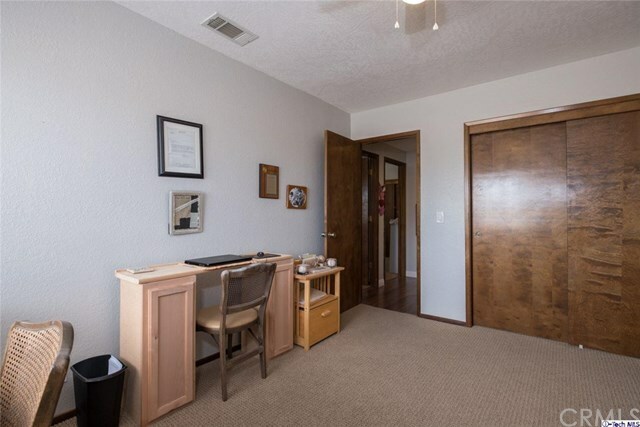 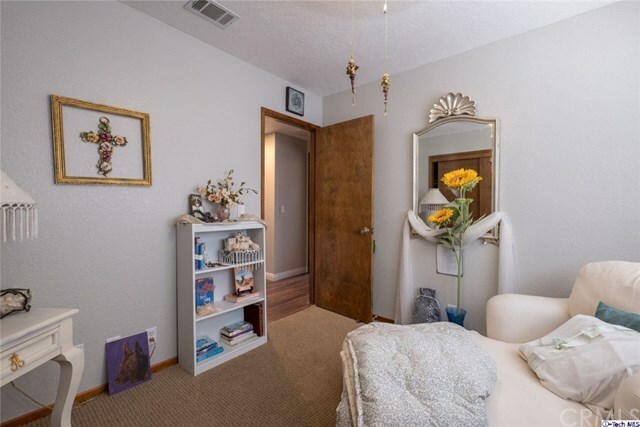 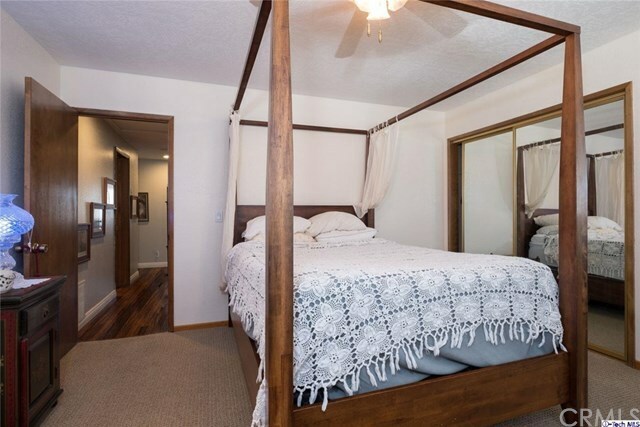 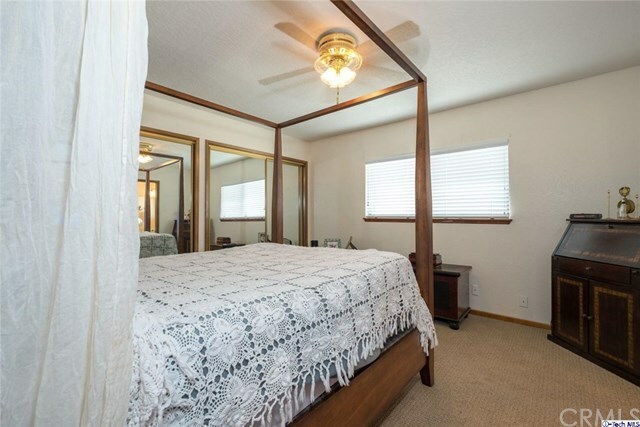 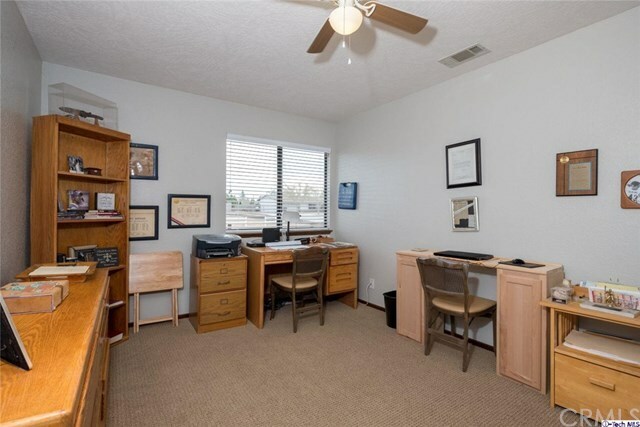 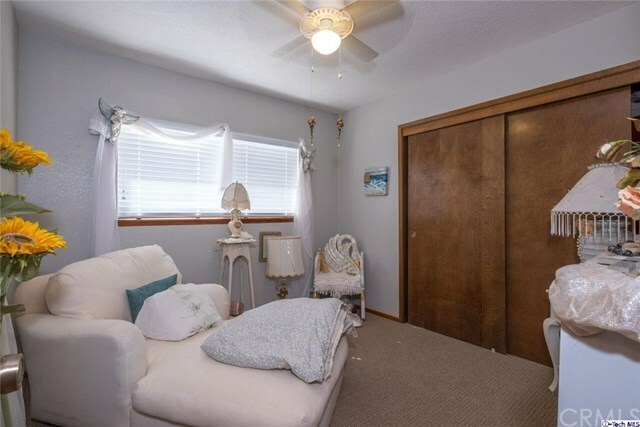 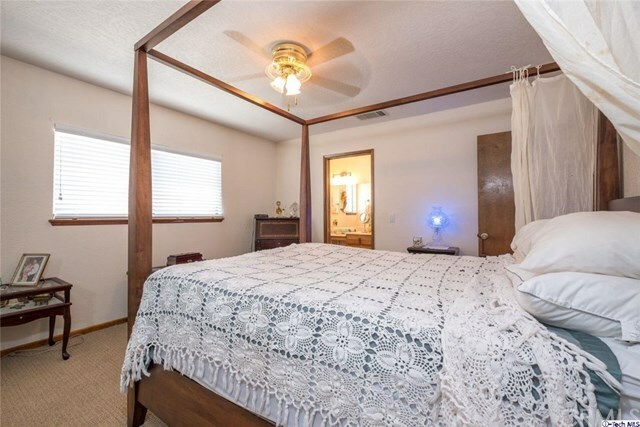 Good size Master bedroom with plenty of natural light from window. 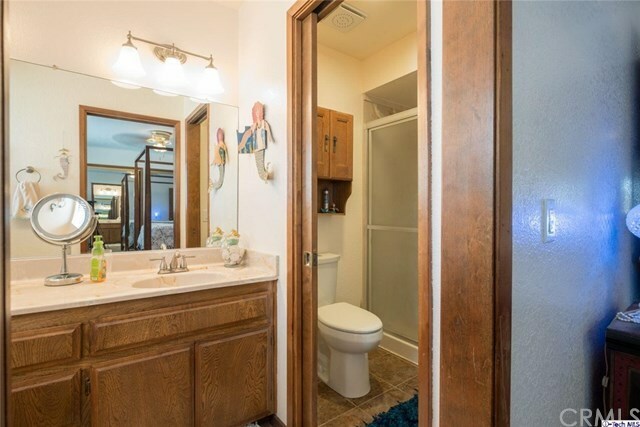 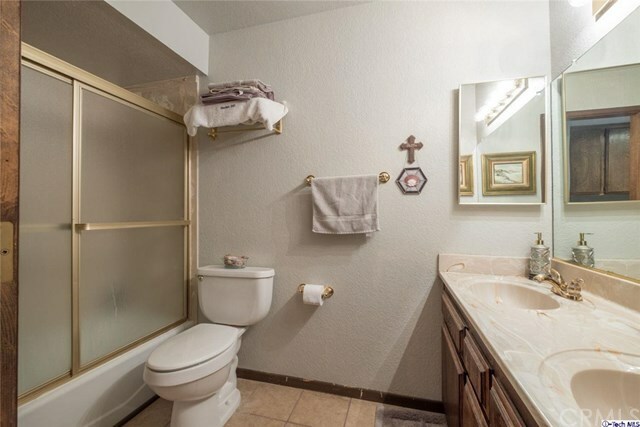 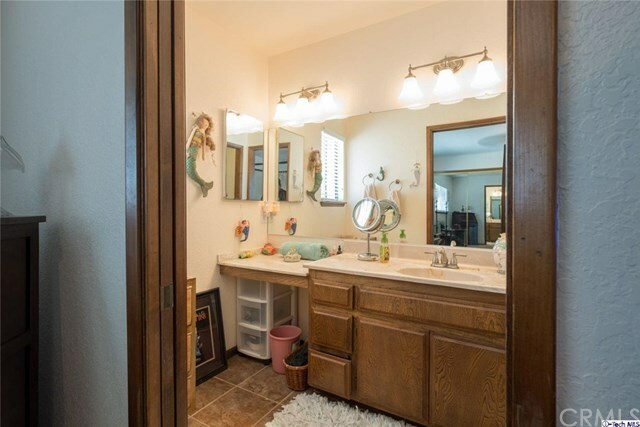 Master Bathroom has double vanity sinks,with stand up shower.There are three additional bedrooms with lighted ceiling fans. 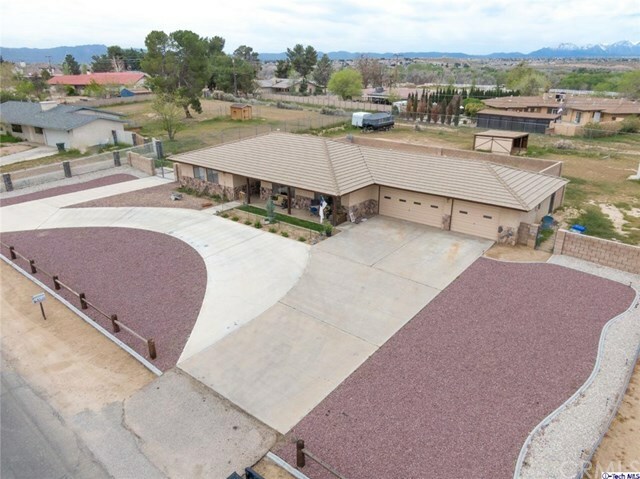 Three car garage with new garage door openers. 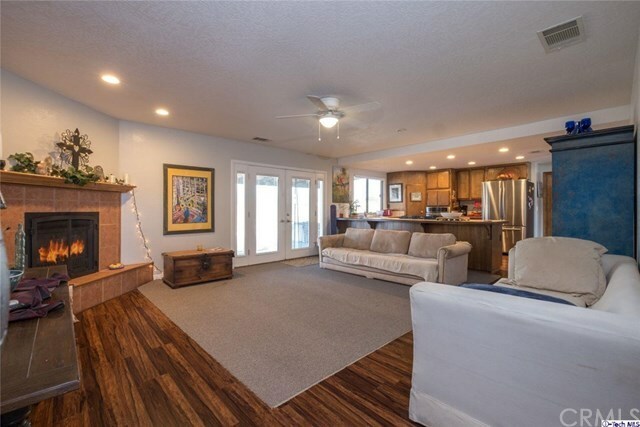 This home is ready to move in !